Regional carriers from India will not be able to fly international routes unless they upgrade themselves and get the much sought after pan-India licence. However, not one such licence has been given in the past year by the government because of infrastructure constraints and the already overcrowded skies. The civil aviation ministry had introduced a separate category of scheduled airlines in August to accommodate growing interest by smaller players for starting new airlines. Nine passenger airlines currently have a national flying licence, while an equal number was pending approval through ­August. Many of these have reapplied for permission now as regional carriers, including South India-based Star Aviation Pvt. Ltd, Trans India Aviation Pvt. Ltd, Air Dravida, Emric Aviation Pvt. Ltd and Gurgaon-based MDLR Airlines Pvt. Ltd. Announcing the new regional airlines policy, the civil aviation ministry had said regional airlines could fly international as long as they meet the guidelines of five years experience and possess a minimum fleet of 20 aircraft as laid down for national airlines such as Air India and Jet Airways. However, a review of the new civil aviation requirements for regional carriers, a framework laid down by the aviation regulator Directorate General of Civil Aviation and available on the regulator’s website, makes no mention of any international operations. The rules define a regional carrier as one that “primarily (operates) in a designated region" and can be allowed on “operational and commercial exigencies" to fly in other regions. The regions, in this case, mean the airlines can choose between North, West, South and East/North-East of the country. Similar rules available online for national airlines clearly lay down operational requirements for “international operations", including asking carriers to follow “laws, regulations and procedures of those states". A senior civil aviation official confirmed there was no scope for regional airlines to fly international. “They have to get a scheduled (national) licence," said one official familiar with the process, who did not wish to be named, “and take the necessary permission from the government." 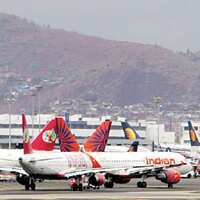 Regional carriers will then have to complete five years of continuous domestic operations. The changed stance, the ­official said, was because the government now thinks ­smaller carriers should concentrate only on regional and intra-region connectivity. For new regional carriers, many of which were looking at flying jets such as Bombardier CRJ 700, which can fly non-stop for four hours covering parts of lucrative Gulf and South-East Asian routes, that could mean changes in business plans or aircraft choices. “There is no clarity still on this rule, but it will surely be cleared soon. We’ll be checking it with the authorities," said Muhaimin Saidu, CEO, Emric Aviation, which has applied for starting EmricAir based out of Cochin but cannot connect next door destinations such as Colombo even if the permissions are granted. A senior official of another start-up airline said their first priority was to somehow manage an airline’s licence. “It’s been a long wait," said Ramachandran Iyer, executive director of the Chennai-based Air Dravida, which applied for a national licence almost two years back.